Edward "Sonny" Stitt was an American jazz saxophonist of the bebop/hard bop idiom. Stitt was born in Boston and grew up in Saginaw. 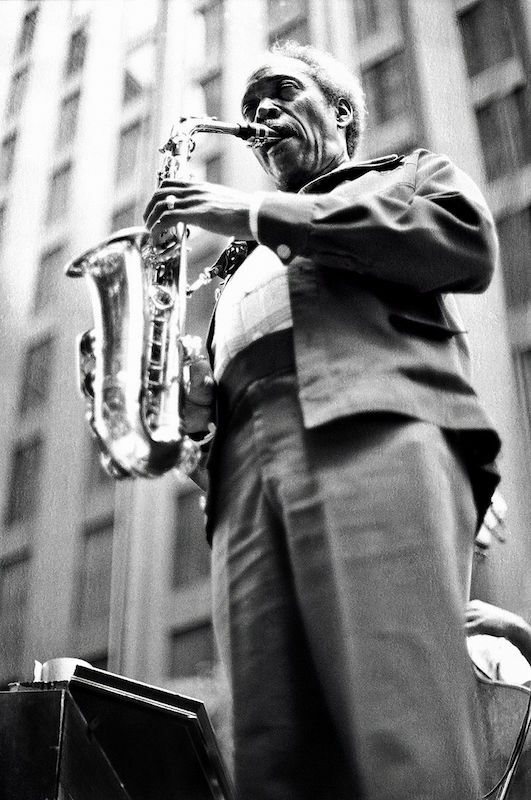 He was one of the most well-documented saxophonists of his generation, recording over 100 albums in his lifetime. He was nicknamed the "Lone Wolf" by jazz critic Dan Morgenstern in tribute to his relentless touring and his devotion to jazz. He is considered the greatest disciple of Charlie Parker although Stitt eventually developed his own style, one which influenced John Coltrane. Stitt was especially effective with blues and with ballad pieces such as "Skylark".